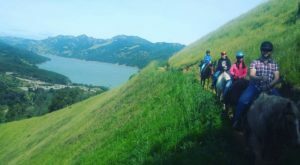 When you live in San Francisco, surprises are everywhere, especially hidden gems. 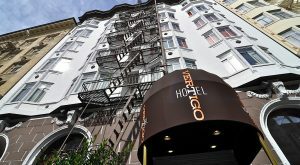 North Beach, also known to some as Little Italy, has many hidden attractions. 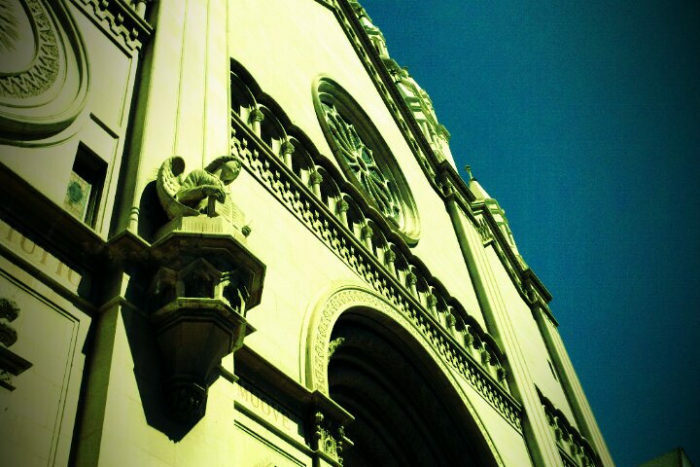 There is a church that gets overlooked by Grace Cathedral, but is an equally stunning backdrop. 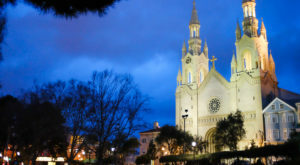 Many visit Grace Cathedral, but this church in Little Italy is more than stunning. 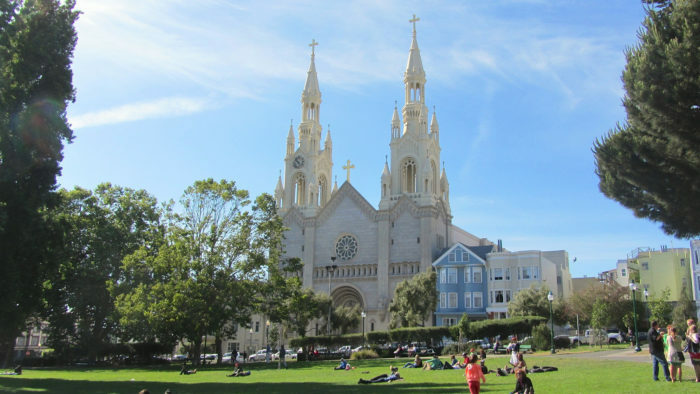 Little Italy, also known as North Beach, is home to Saints Peter and Paul Church, which is directly across from Washington Square. 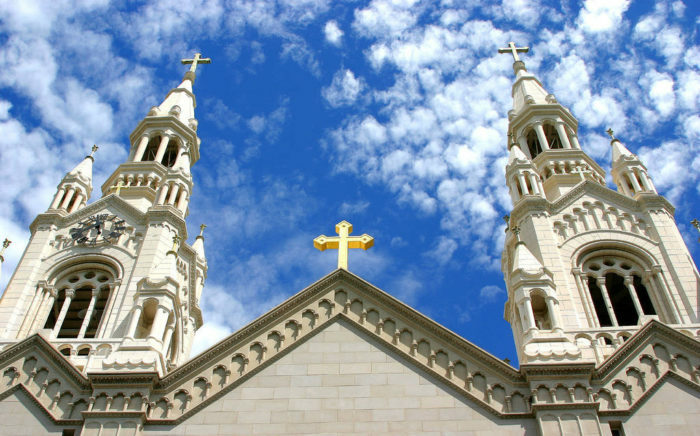 Saints Peter and Paul Church is known as "la cattedrale italiana dell'Ovest", or "the Italian Cathedral of the West." 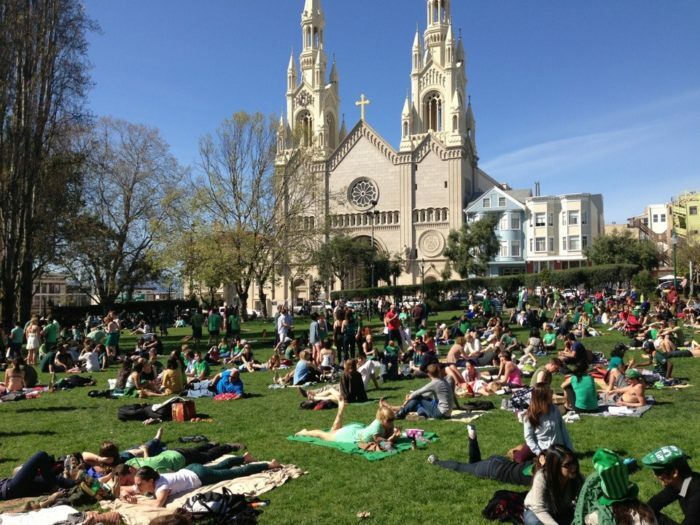 Washington Square is a park in North Beach that was established in 1847. 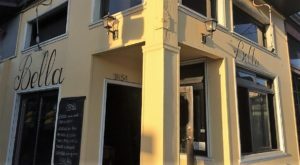 Historically, the Square is a natural community gathering place. You'd think you were on an ivy league campus or a square in Europe. 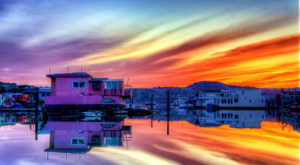 The vibe here is exquisite and full of a festive air that is not commonly found in the USA. 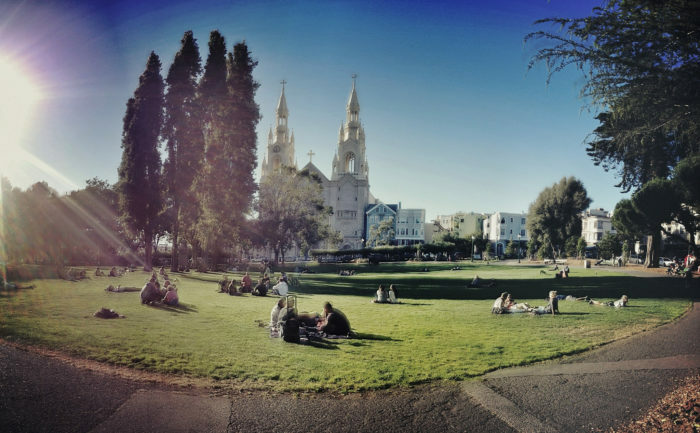 Move over Dolores Park, Washington Square where Saints Peter and Paul Church sits is popular on warm days for relaxing, events, and picnics. The church has a lot of wonderfully ornate characteristics that harken back to the its original foundation to 1884 and the first location of the church. 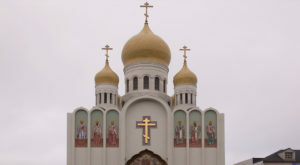 Saints Peter and Paul Church also features Italian Gothic styles and exquisite detail unseen in most parts of California. 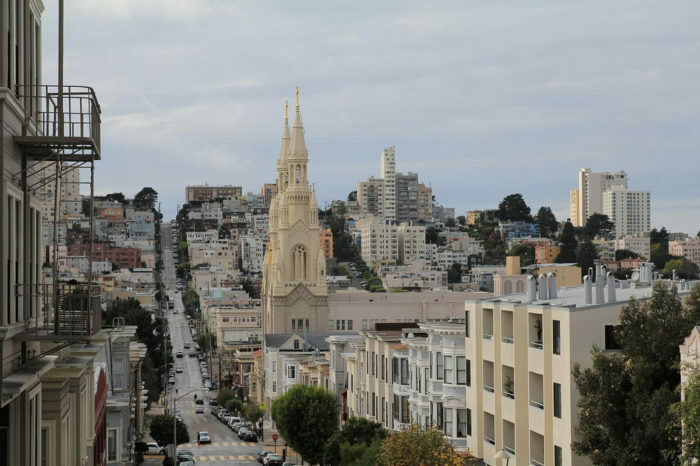 You can also walk around Saints Peter and Paul Church to discover the classic architecture of North Beach along with nearby attractions like Telegraph Hill and the Marina. 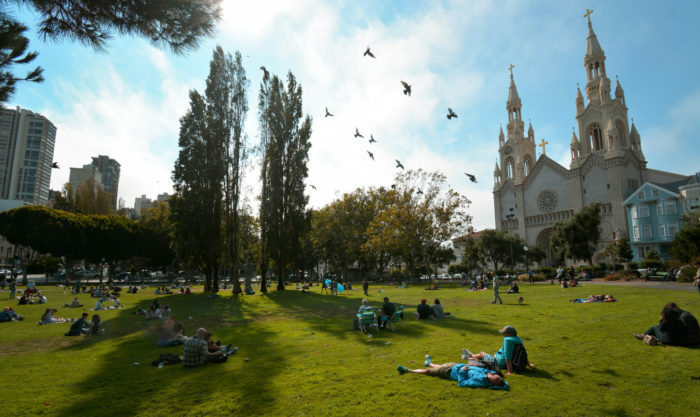 Watch some video footage of Saints Peter and Paul Church from Washington Square. 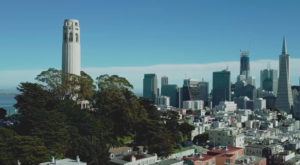 You’ll feel like you’re in the city in this clip. 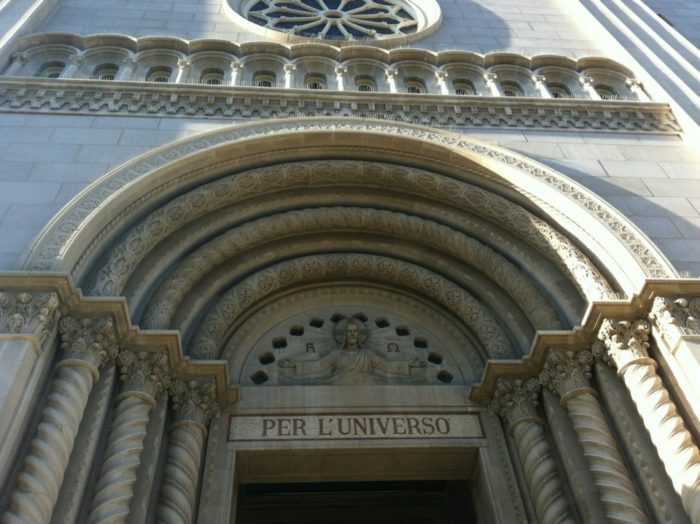 Visit Saints Peter and Paul Church at this address: 666 Filbert St, San Francisco, 94133 and learn more about visiting Saints Peter and Paul Church for tours. Have you been to this church? Let us know. Share your opinions. 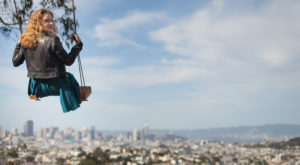 If you are curious about other historic attractions the city, then check out The Little Known Park In San Francisco You’ll Want To Visit Again And Again.